If you're looking for a $99 streaming box that can handle the playback of your local media, and supports a ton of formats, the Western Digital WD TV Live box is the best on the market. 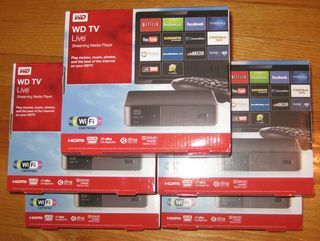 And at the Streaming Media East show next week, we'll be giving away six of these devices to some lucky attendees. Simply register online for a free exhibits pass and stop by the broadband device pavilion where we will be raffling off these and other devices during the two days of the show. Thanks to Western Digital for the gear!